In Episode 13 of the Native Waters on Arid Lands podcast, we speak with Dr. Loretta Singletary about her work on the Tribes and Indigenous Peoples chapter of the Fourth National Climate Assessment. 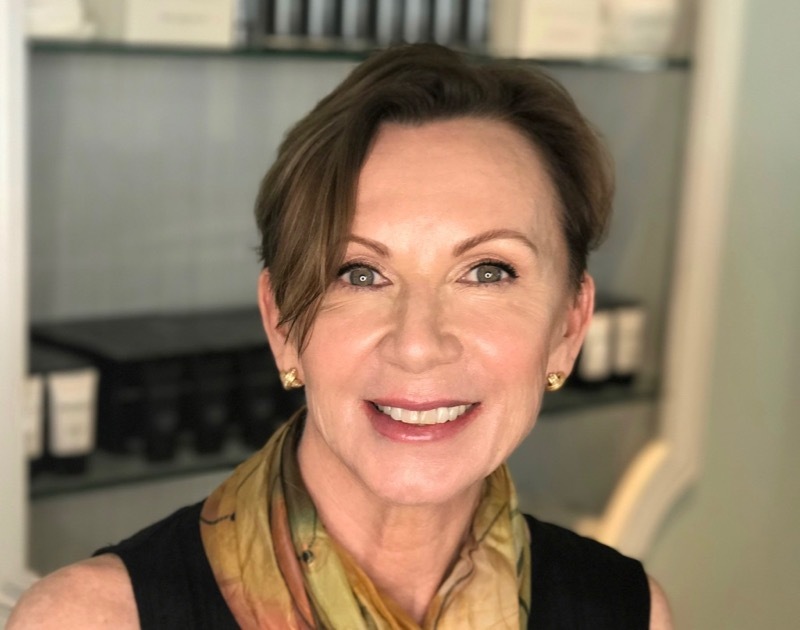 Loretta is a professor and interdisciplinary outreach liaison with the University of Nevada, Reno’s Department of Economics in the College of Business, and the Cooperative Extension in the College of Agriculture, Biotechnology and Natural Resources. Listen to the podcast and read below to learn more about Loretta and her work. You can subscribe to this podcast on iTunes, Google Play and Stitcher. A transcript of this podcast is available here. Loretta Singletary holds a Ph.D. in applied economics, master’s degrees in geography and education, and a bachelor’s degree in interdisciplinary studies. She is interested in natural resource problems and the complexity of managing natural resources in a sustainable way. In her research for the Native Waters on Arid Lands project, Loretta has been working with graduate student Helen Fillmore to assess the climate data and information needs of tribal nations within the NWAL study area of the Great Basin and Southwestern U.S. The results of their analysis will be shared with the public and available online, as well as published in peer-reviewed journals. Loretta and Helen also worked with NWAL team member John Phillips from the First American Land-Grant Consortium on an assessment of climate science research, education and outreach to Tribal Colleges and Universities. The results of that research, entitled Assessing Tribal College Priorities for Enhancing Climate Adaptation on Reservation Lands, were published in the Journal of Contemporary Water Research & Education in April 2018. Recently, Singletary worked as a member of the team that wrote the Tribes and Indigenous Peoples chapter of the Fourth National Climate Assessment (NCA4). The National Climate Assessment summarizes the impacts of climate change on the United States, now and in the future, and is released every four years. The most recent version of the assessment, the NCA4, was released in November of 2018. In the podcast, Loretta describes the key findings of the chapter that she and her team worked on, and major changes that they identified in the challenges facing tribes and indigenous peoples between the 2014 and 2018 editions of the report. One major difference, Loretta said, was the number of proactive climate change initiatives that have been developed by tribal communities during the last few years. 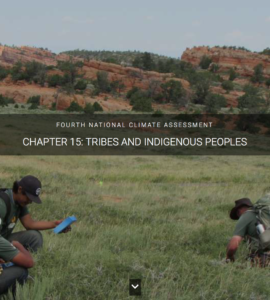 To view the Tribes and Indigenous Peoples chapter of the NCA4, including an interactive map of the 800 adaptation planning initiatives identified by Loretta and her team, she recommends that you check out their full report chapter: https://nca2018.globalchange.gov/chapter/15/. To learn more about Loretta’s work with the Fourth National Climate Assessment and the Native Waters on Arid Lands project, listen to podcast episode 13, below. Music for this podcast came from Podington Bear (song title: Bit Rio) on the Free Music Archive under a Creative Commons license.